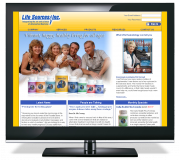 Home › Clients › Life Sources Inc.
Life Sources, Inc. is a Nevada Corporation with order fulfillment located in Fair Oaks, California and is a member of the NNFA, The National Health Federation, and the Citrus Heights California Chamber of Commerce. The President and Founder is Andrea McCreery, Ph.D. Dr. McCreery is currently developing several new proprietary products to add to the Life Sources anti-aging and chronic illness system. Based upon clinical observations, Dr. McCreery has developed several innovative products designed to slow the aging process and naturally combat chronic illnesses. Nutritional counseling through the use of a high-powered binocular microscope enables her to unlock a hidden world right before the client’s eyes. She is able to study and evaluate the shape and structure of the red and white blood cells and their overall condition. The blood plasma is also carefully analyzed for clots, parasites fungus and other possible microorganisms. Over forty nutritional deficiencies and risk factors can be observed and reversed using our unique approach we call Targeted Nutritional Intervention. It is Life Sources’ goal to bring your body back to a state of “balance” and since we are able to observe these possible risk factors before standard blood tests are able to detect chemical changes, we can begin to correct these abnormalities with proper nutrition and supplementation. A custom eCommerce web site based on the CRE Loaded platform with template creation from base design by Luminosity Studios.